Your signature below will amount to acceptance of our following terms of business and will form a contract between Consumer Savings Network (CSN) and you. In making your claim you will not put yourself at any financial risk. Nor will a successful Investment refund from the lender adversely affect your relationship with that lender, if you continue to bank or have loans or credit cards with them. Our attached information sheet headed ‘What we can do and why we can’ contains objective information for you to consider before signing. If you are still uncertain please contact us for any further explanations which you need before making up your mind. CSN will seek to reclaim any and all losses you have incurred since the inception of your Investment Product. In most cases we will also get you additional compensation based on the Bank of England Bond Rate during the investment time period. CSN charges 35% plus VAT (42% In Total) of the total compensation awarded to you, the client, for this service. For example, if you win £10,000 in gross compensation, you will need to pay CSN a fee of £3,500 for our service plus £700 for VAT). There is no charge for our service if we are not successful with your case. 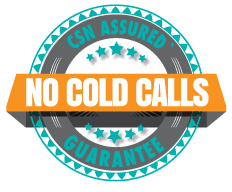 If an offer is refused and no other higher offer can be negotiated through normal correspondence than our fee will be based on the highest offer awarded. In the absence of you reaching a payment arrangement with us based on the refund going to arrears, our fee plus VAT must be paid to Consumer Savings Network Ltd. within 14 days after receiving your refund. All we require you to sign are; 2 Authority Forms to enable us to act on your behalf, a Statement Of Truth which is a document that states that to the best of your knowledge the information you provided is accurate, and our Terms and Conditions which acknowledges you accept our terms of service. You may consider making a copy of these documents for your own records. If you can provide us with copies of any documents that relate to the investment product in question, that would be helpful. You may cancel this contract by giving us notice in writing, email or by telephone without any charge, within a cooling off period of 14 days. You will be responsible to notify the bank/ building society of the re-assignment of the claim to yourself if appropriate. No letters, documentary materials, or evidence provided by CSN, will be allowed to be used to support your claim. You may withdraw from this contract after the cooling off period referred to in section 6. In such instances so long as a refund has not been offered through the work we have carried out on your behalf, you may be charged for the time we have spent on your case at a rate of £100 per hour. After the cooling off period, if we receive written or verbal notification of a successful claim because of the work we have done on your behalf, you will be liable for payment of our standard commission fee of 25% plus VAT (30% in total) of the compensation awarded as stated in section 3. You should carefully read all documentation we supply to you and keep make copies for your reference. We will promptly notify you of all steps to be taken and further information we require from you. We will argue the merits of your case where necessary with all relevant bank/ building society officials. We will take all proper steps to avoid any conflict of interest. We must always act in your best interests. You authorise CSN to use and discuss information concerning you in the furtherance of your claim. All information will be held and controlled in accordance with the Data Protection Act with information only being forwarded to those who are registered with the Information Commissioner or a recognised authoritative body. You authorise us to contact you with other services we offer from time to time. Consumer Savingas Network Ltd. is regulated by the Claim Management Regulator in respect of regulated claims management activities; its registration is recorded on the website www.claimsregulation.gov.uk. Our Claims Regulation Authorisation number is CRM 40139. By signing and returning the Letters of Authority, you agree to be bound by these terms of business and appoint CSN to provide Services for such a period as to allow CSN to assess and pursue the Claim (subject to your right to terminate under section 6 above).